Join our Forum and our discord channel! And get away with it! Please endorse our delegate, 9003. Will Sauron ever notice that I edited this in here? Only time can tell. MoRNaR! Our first official nation based Roleplaying Game! Welcome To Mordor: A guide for newcomers. Meta → Gameplay by Nazguls 2 years 137 days ago . 297 reads. Meta → Gameplay by Nazguls 4 years 157 days ago . 369 reads. Bulletin → Opinion by Malkir 4 years 5 days ago . 297 reads. Embassies: Rhun, Isengard, Mines of Moria, 10000 Islands, Lothlorien, the Rejected Realms, Renegade Islands Alliance, The Skeleton Army, Minas Tirith, gondor, the West Pacific, The North Pacific, the Pacific, Rohan, Hell, One big Island, and 8 others.Valhalla, Hobbiton, Middle Earth Roleplay, The Order of the Grey Wardens, The Shire, Middle Earth, Christmas, and The Orthanc. Tags: Defender, Fandom, Fantasy Tech, Featured, Game Player, General Assembly, Map, Medium, Offsite Chat, Offsite Forums, Regional Government, Role Player, and 2 others.Security Council, and World Assembly. Mordor contains 46 nations, the 307th most in the world. As a region, Mordor is ranked 6,735th in the world for Largest Welfare Programs. 4 days ago : The United Socialist States of PETZ arrived from The Pacific. 5 days ago : Oderon ceased to exist. 5 days ago : The Holy red zombie dictatorship of FluffyMurderKillerStabber of the region Fluffy squishfish proposed constructing embassies. 6 days ago : The Holy Empire of Xrus of the region Lardyland proposed constructing embassies. 7 days ago : The Republic of BlazingAngel arrived from Currahee. 7 days ago : The Republic of BlazingAngel departed this region for Currahee. 12 days ago : The olog-hai ceased to exist. 14 days ago : The EMPIRE of GUNDAMZ departed this region for Crimson Eagle. 14 days ago : The GUNDUMZIAN Protectorate of Draconic Aiur departed this region for Crimson Eagle. 15 days ago : The EMPIRE of GUNDAMZ arrived from The Rejected Realms. Were hardly mortals here but welcome just the same! Premedite wrote: No, you're still mortals. I mean the words I type here will exist until this server goes down, so that is better than average! It's been awhile... a long while... long enough for me to forget exactly where the "new poll" button was... but that is not the point. In my excellent dedication to University, I have decided to forgo studying and create a poll (also not the point). A new poll over here in Lothlorien, "Which part of Tolkien's Legendarium is in the most need of an adaption to the big (or small) screen? ", is up for the next week, and I encourage you all to vote... for the sake of it really. 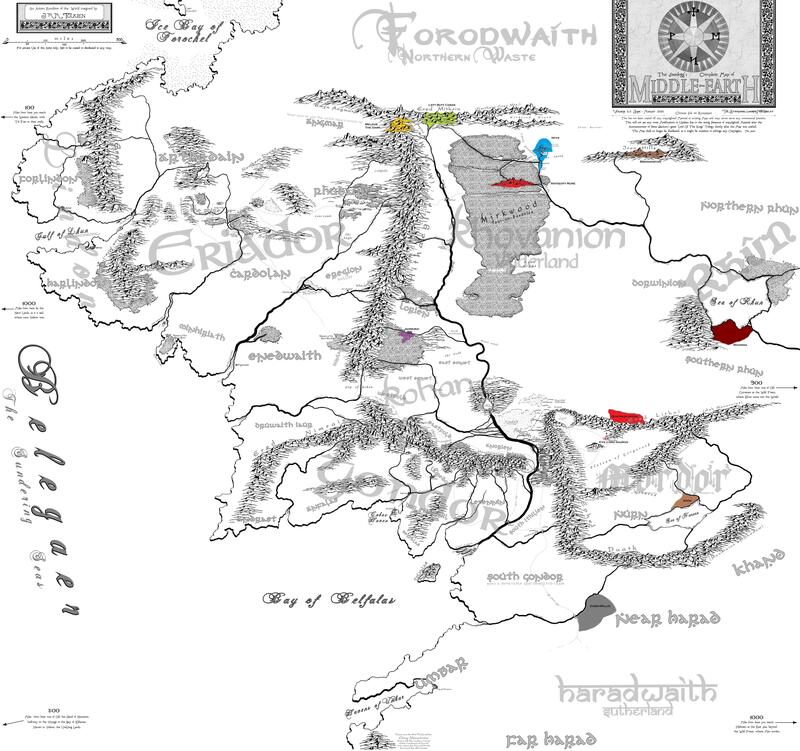 I know I've split up the events weirdly, some specific, some very unspecific, but I think it's a good mix and considering some parts of Tolkien's tales have alot more detail than others, I don't think it's a big deal. Eitherway, cast your vote and let us know which section of Tolkien's Universe the world of cinema is missing the most. Turkdulapitou wrote: Hello from Lothlorien!